See it all, From Hollywood to the Beach! California All-In-One Cruising Tour! 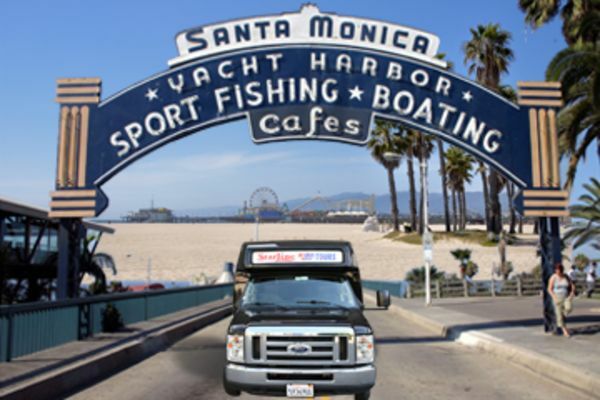 If you want to experience all the best L.A. has to offer in an all-in-one sightseeing tour, this is the outing package for you! Discover the sights, landmarks and fully narrated history of memorable history. • Olvera Street, the "birthplace of L.A."
Your tour begins outside the historic TCL Chinese Theatre, on a history-filled walking tour in the heart of Hollywood. Then proceed in a tour van up Mulholland Drive, where you'll get a picture-perfect vista of Los Angeles. Continuing through one of the most exclusive communities Beverly Hills, you'll visit celebrity homes and a tour of the world-famous Rodeo shopping district. 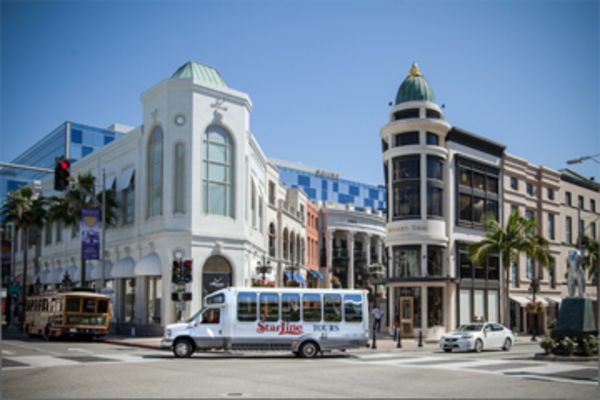 Heading west, we'll take you to the stunning ocean views of Santa Monica coastline down to eclectic Venice Beach before looping back into Downtown L.A.
No visit to L.A. is complete without a tour of glamorous Beverly Hills. See some of the most expensive and exclusive real estate in the world. You might even catch a glimpse of a star as you tour through the boutiques and cafes of Beverly Hills’ commercial district. Sunset Strip. A longtime hotspot for L.A.’s lively nightlife scene, the Sunset Strip is home to some of the most famous music venues, comedy clubs, bars, and nightclubs in the city. You’ll see where some of the biggest stars in the business got their starts in the entertainment industry. Hollywood. Tour the Hollywood Walk of Fame, see famous movie premiere houses like the TCL Chinese Theatre, cruise past the permanent venue of the Academy Awards, and much more during your ride through Hollywood. 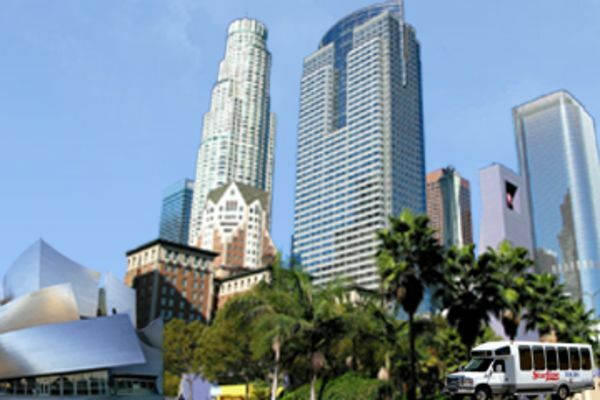 The Los Angeles City, Celebrity Homes & Beaches tour is available daily, with optional hotel pick-up and drop-off service provided at select locations throughout the city. To learn more, or for personalized assistance completing your booking, please call Starline Tours at 1-800-959-3131 or (+1) 323-463-3333. Departure: Scheduled hotel pick-up time vary from 7:15am to 9:15am depending on hotel location. HOTEL TRANSPORTATION: For hotel pick-up locations click on City + Hotel Location on the menu bar.